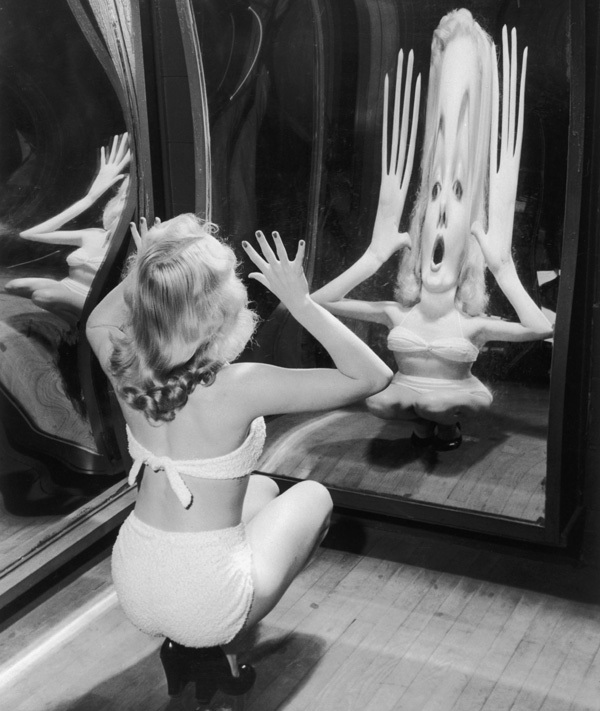 A regular feature at fun-fairs used to be the Hall of Mirrors, where you could enjoy distorted images of yourself: thin becoming fat, tall becoming short - an alternative image of reality. Regular readers will be aware that the key metric for the DIY Income Investor portfolio is yield, with the proviso that this yield should be as sustainable as possible. Essentially I am buying high-yield securities and selling them when they become low-yield, preferably when this is due to a substantial price rise. However, when buying something that is not priced in your 'home' currency, there is an additional factor to consider - the trend of the exchange rate. Otherwise you risk being misled by a distorted image of yield. The problem with buying yield in a different currency is that movement in the currency exchange rate can reduce or even wipe out any gain from a price rise. In a scenario of unfavourable exchange rate trends, the headline yield (measure in a foreign currency) might remain the same, while the value of your holding goes down. The only answer I can come up with to deal with this potential dilemma is to look at the exchange rate trend. For example, if you look at the Stirling/Euro exchange rate (from the ECB) over the last two year there is an obvious downward trend in the Euro versus Sterling since the first quarter of 2013 - from a high of around 1.14 Euros per Pound Sterling to a current level of around 1.23. I hasten to add that I am not a currency speculator: to my mind that is an activity for the 'big boys' and not us retail investors. Short-term currency moves are difficult to forecast, although I think we need to pay attention to longer-term trends. building up the share of Exchange Traded Funds (ETFs) in the portfolio - buying ETFs is a trade-off of the highest yields in exchange for the 'safety' of diversification, which in turn implies the need for much less day-to-day attention compared with tracking the specifics of individual holdings. diversifying, market-wise - investing in non-UK markets and currencies helps to provide some (slim) insurance against future poor management of the UK economy as well as hopefully benefitting from more dynamic growth available around the world. I have therefore substantially topped up my holding of iShares Euro High Yield Corporate Bond UCITS ETF (LSE:IHYG). Bloomberg indicates a trailing yield of 5.86% - and this on top of an increasing (Euro) price trend over the last year (with a price appreciation of around 8.5%). I bought this ETF in January 2013 as a gamble on the continuing strength of the Euro against Sterling plus the general health of the Eurozone financial system. That partly worked - in the sense that the Euro did not collapse but the decline in the value of the Euro has meant that I am showing a slight capital loss on this holding. However, with the ECB again reducing the benchmark bank rate there is perhaps some potential for some Eurozone stimulation of the economy, like Quantitative Easing, which might benefit Euro-denominated fixed-income securities. But who knows? It remains to be seen whether the potential reward justifies the risk. This is now my biggest ETF holding and ETFs account for one-third of the portfolio, however fixed-income securities are down to 39%, compared with a 'target' of around 50%. Today after reading your article I have bought into the sterling dominated IShares Euro High Yield ETF (SHYG:LSE) at 8986.30p. The 6% yield and Mario Draghi's potential Eurozone stimulation package were the deciding factors. Plus this is my first ETF buy. Many thanks for your research and information on this subject.